Volunteer parents are often required at your school. For school trips, sports days or the final cleaning at the end of the school year. With your app you can easily enter the demand for different help parents and you can also display them in the app. 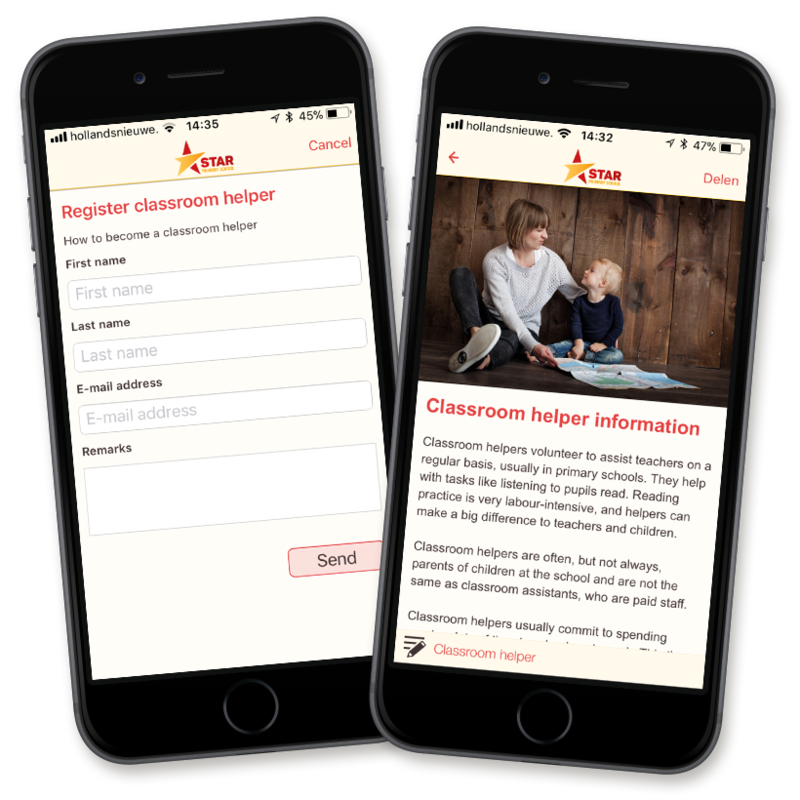 Link a form so that parents can immediately sign up to help. Users can search directly within their interests via filters so that only relevant results are shown.